The month of March is not an easy one for pro-Israel activists around the US and the world. It is usually marked with a variety of anti-Israel events on campuses, as activists and members of the Boycott Movement take to the stage to paint the complex shades of the Middle East and Israel with a one-colored brush, mainly blaming the State of Israel for all of the region’s malaise. This movement, opposed to the very existence of a Jewish state and to the mere idea of a peaceful co-existence between Israel and the Palestinians, makes heavy use of the South African experience and narrative in order to smear Israel’s reputation by employing simplistic portrayal of the current situation. In addition, as if to make things worse, in October 2015, a Hamas (!) delegation (yes, the same organization responsible for suicide terror attacks and rockets targeting innocent Israelis) paid “an official” visit to South Africa and as recently as last week, South Africa denounced Israel again at the United Nations Human Rights Council. So, what’s new?! Well, you might be surprised. Apparently there’s much that’s hidden from the media’s eye and public attention. 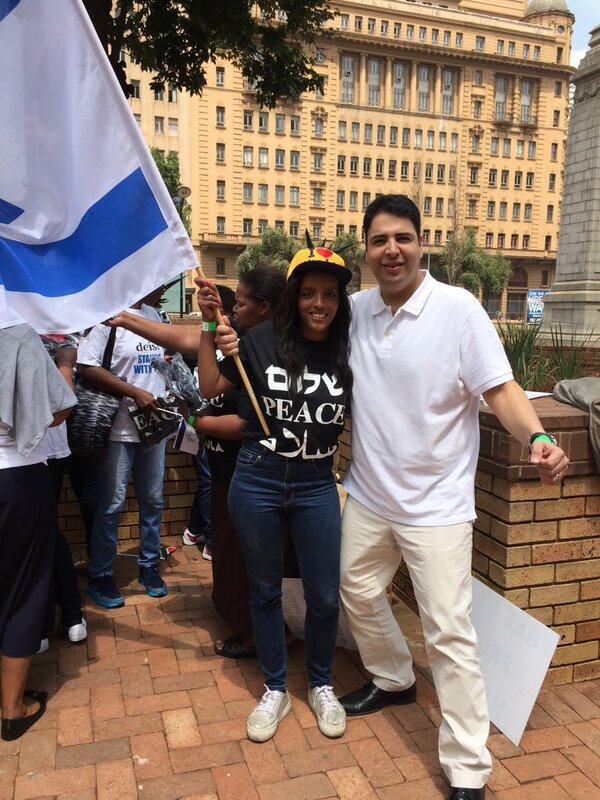 A few weeks ago, in the course of the anti-Israel “March Madness”, I had the opportunity to visit the “belly of the beast”, Johannesburg/South Africa, speaking at the Israel Advocacy Conference of South African Friends of Israel (SAFI). StandWithUs’ global mission is Israel Education around the world and South Africa is one of the places we work in, sending students on dialogue missions to campuses and work with the wider pro-Israel community to educate, inform and enrich public discourse about Israel. In the course of my short visit, I learnt that behind the smokescreen of empty words and shallow slogans and statements, there is a steady stream of positive engagement with Israel in South Africa, not only on the governmental level, but also with the general public. During March Israel’s Director General of the Foreign Ministry, Ambassador Dore Gold, visited South Africa for official meetings with his counterparts in the government. In the course of the visit, both parties announced they would strengthen their bilateral ties in the fields of agriculture, science and technology and improve their diplomatic relations. Mutual trade between Israel and South Africa amounts to about one billion dollars and keeps on growing. It is worth noting also that both countries are already engaged in various fields of cooperation, mainly on medical technologies, agriculture and water (South Africa is going through a terrible drought this year), bettering the economy and local living conditions and health of the general public. Yes, Israel is making South Africans’ life better, as it does in so many other corners of the globe. Even on campus, my visit to South Africa provided insight into some interesting and telling moments. One such moment was when earlier in March, the University of the Witwatersrand (Wits) “Palestinian Solidarity Committee” in Johannesburg hanged black mannequins they said were supposed to represent “Zionist oppression”, but instead provoked tremendous ire from groups claiming their insensitive display was “racist” for hanging black mannequins and “dangerously increases racial tensions” in South Africa. On another instance, the anti-Israel movement had to call off a planned boycott protest against local businesses, due to lack of participants. It is clear: when the pro-Israel community comes together, results are evident. The agenda of the anti-Israel movement in South Africa is clear: (Ab)use the historical context of South African struggle for human rights, and create a baseless analogy to Israel, with no real facts to back it, thus resorting only to name calling and falsehoods to “sell” their story. It is in this context that the SAFI advocacy conference was so important. We, at StandWithUs, understand that a major enemy we need to tackle is not only animosity but rather the ignorance on the issues and the lack of proper education. South Africa is a very tough arena indeed, but a significant factor is that education is lacking in large portions of the population. Therefore the anti-Israel movement attempts to fill the vacuum with a machine of deception and lies about Israel, to reframe the South African state of mind against Israel. Education is key to making a difference and turn the tide in the opposite direction, and this is a path we, along with the local pro-Israel community, are heavily engaged in, continuously and tenaciously with proven results. The SAFI Conference was a sight for sore eyes: more than 500 pro-Israel activists gathered together, most of whom were non-Jews, all coming to be inspired and learn of innovative ways to carry the message and pave Israel’s way into the hearts and minds of people. Israel’s Ambassador to South Africa, Arthur Lenk, opened the event with tremendous optimism about Israel’s place in the world and her growing and developing ties with South Africa and the African continent in general, urging attendees to use social media and make their voices heard. South Africa’s Zionist Federation National Chairman, Ben Swartz, mentioned that SAFI has gone a long way since their first conference only a few years ago. “Then”, he said, “We had just 100 delegates as Jews were under fire. But a very different story played out last week, as Israel Apartheid Week on South African campuses had been a `dismal failure”. This Conference was a unique opportunity to inform and empower South Africans to carry the pro-Israel message, give them the tools of how to stand with Israel. This crucial experience was especially important there, bearing in mind South Africa’s symbolism on issues of justice and morality. It is their voices that need to be heard. Ordinary South Africans re-claiming their heritage. When local parliament member, Rev. Kenneth Meshoe speaks beautifully of Israel, you hear the message loud and clear, and when his daughter, Olga Meshoe, COO of DEISI (Defend Embrace Invest Support Israel, a pro-Israel Christian grassroots organization) takes the podium, you are just happy to be on her side and the right side of history. There is passion in truth and true devotion for Israel in South Africa. A tectonic shift? Maybe not just yet, but we’d better be ready for it, as its coming. 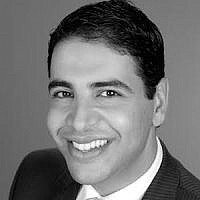 Executive Director of StandWithUs Northeast U.S., a global Israel education organization, dedicated to sharing Israel's story in word and deed. 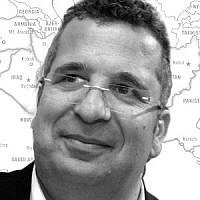 Previously working at Israel's Foreign Ministry in London, Jerusalem, Nairobi, Los Angeles and New York and passionate about people, culture and politics.